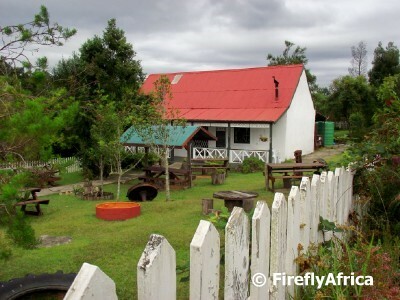 After the 1885 discovery of gold in the forests about 15 km's outside of Knysna, a small town mushroomed up just about overnight as miners flowed into the area. At its height the town consisted of 75 wood and iron cottages, 6 hotels, 4 boarding houses, a hospital, Methodist Church, a number of general dealers, bakers, butchers, banks, a music hall and 3 newspapers with over 1000 men mining in the surrounding forest and hills. The gold rush ended just as quickly as it started and by 1893 there were only 7 people left in the town and all the old mine town buildings got moved to Knysna. One of the original cottages still stands where it stood back in those days and today houses a small museum and coffee shop serving the most divine scones you can imagine. Further up the hill on the original Millwood town site there is very little left over except for the road and a number of signs pointing out where the prominent buildings stood. Its a bit spooky knowing that you are walking through a town which is no more and I can imagine it being a lot more spooky up here after dark. The Central Hotel (one of six hotels in the town) must have been the life of the town and many a miner probably celebrated (and lost everything) here after a sudden windfall. I followed the path into the heather from the sign and found some of the old foundations of the building overlooking a beautiful view across the valley. Otherwise not much left here either. 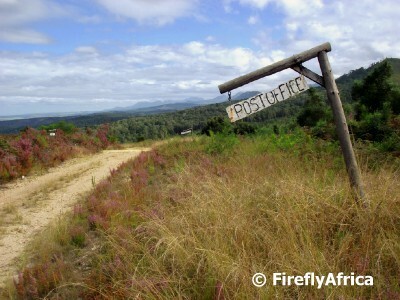 There were quite a few visitors to the area on the day of our visit and it warms my heart to know that both tourists and locals venture into the Knysna forests to see these attractions and don't just stick around town. That's a beautiful setting for the old town. Kind of surprised another town hasn't sprung up there. And a white picket fence too! cool picture :) it looks beautiful! 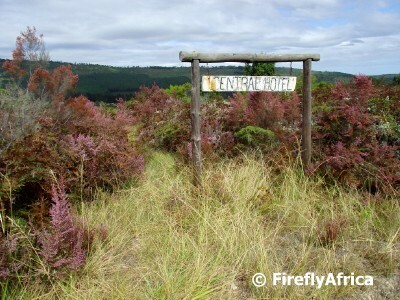 We had wonderful time hiking in and around Knysna forest, which all seams to date back the mining and timber era of he region. So visiting the mining towns and meusiums, just seams to put it all into perspective.Its an absolute must for visitors to the garden route.